Sign in started at 7 a.m. Saturday for the fifth annual Live Healthy Iowa 5K and 1K runs. 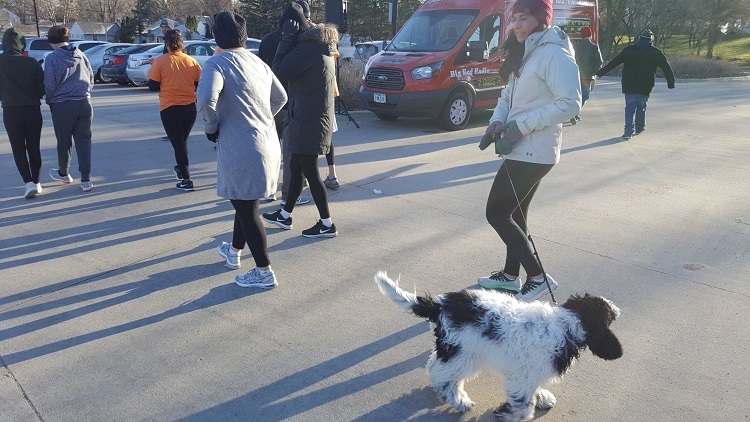 Runners, walkers and dog walkers, including Macinzie McFarland and her labradoodle Mike, moved toward the starting line. DCH Foundation Director and the DCH's Live Healthy Iowa evet organizer Matt Crooks oriented runners to the 5K course. 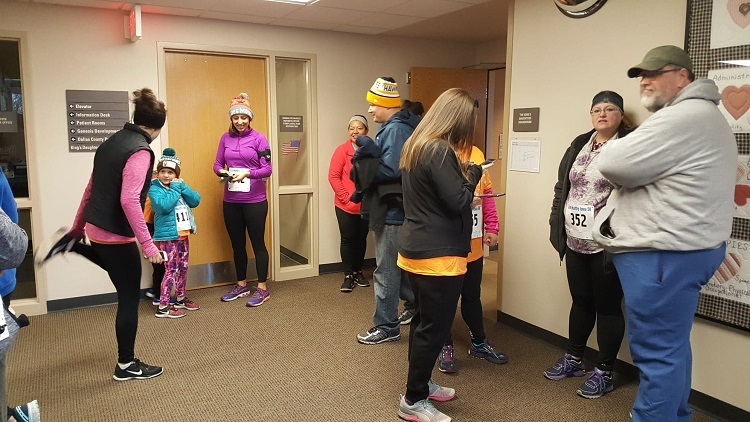 Bright sun and freezing temperatures greeted runners and walkers at the fifth annual Dallas County Hospital Foundation and Live Healthy Iowa five-kilometer walk and run Saturday. 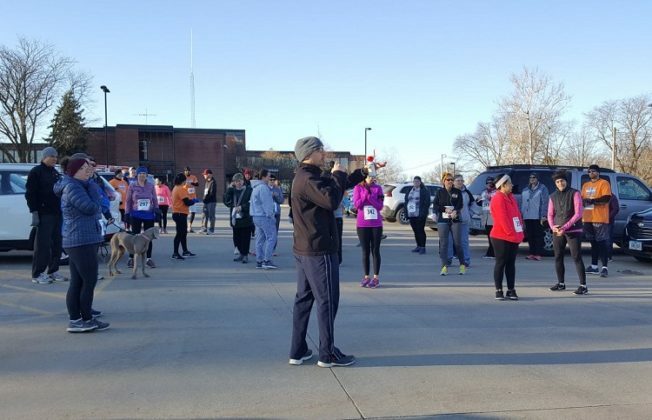 About 40 pre-registerants and a handfull of day-of entrants stretched their leg and back muscles before gathering at the starting line, where a blast from an air horn signaled the start of the 8 a.m. event. A 1K Kids Run followed at 9 a.m. Sponsors for the 2019 event in Perry included the Raccoon Valley Bank and Barr-Nunn Transportation Inc.
Live Healthy Iowa is a program of the Iowa Sports Foundation, a non-profit organization located in Ames. The program was created in 2002 as a strategic health initiative to address the state’s growing obesity problem. Perry is one of 18 Iowa towns hosting the annual 5K and 1K treks. Proceeds benefit the local wellness coalitions in partner communities as well as Live Healthy Iowa Kids initiatives. The partnership “brings together friends, families, businesses and communities in team-based wellness challenges designed to promote positive lifestyle change,” according to Live Healthy Iowa.